Where have you been Lit? It’s been years, almost decades even, since the Southern California punk pop band stepped foot in the Pacific Northwest and they finally did somewhere off the coast of Washington. Actually, Lit performed at a sizeable, yet eccentric, bar on Thursday inside the Clearwater Casino in Suquamish, WA that technically is right off the Port Orchard waters west of Seattle. 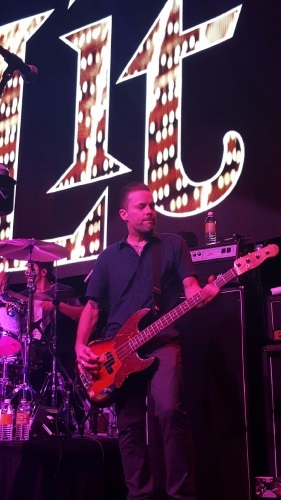 The one-off concert came on the heels of Lit’s sold-out and venue closing performance at the House of Blues in Anaheim, CA last week. So for those who waded through a forest of evergreen trees the pleasure was all theirs. It’s not every day, or in the case of Lit, every year one of 1990s biggest acts plays a small, intimate venue in front of a few hundred fans – in other words, at a bar. Lit played a very efficient 17 song set that took about an hour and 20 minutes including radio favorites, should-have been radio favorites and a bunch of new songs the band is putting together for an upcoming new album. The band that pretty much writes lyrics shedding some light on their, shall we say, misbehavior – sometimes involving alcohol – showed a rare emotional side with the more or less coming of age “Fast” about just how fast life goes. Indeed it’s been more than 25 years since these guys got together, forming in high school, then rising above some of the musical muck that came out of the 1990s and early 2000s and riding the wave of alternative rock that propelled them into stardom with the smash album A Place in the Sun in 1999. Of course they played the favorite of anyone who has ever been involved with someone who is just so “Miserable,” they showed some new artistry with the country-infused “Just Feels Right” or as A. Jay says, “That back yard music I love” and they closed the show with the always awesome “My Own Worst Enemy” featuring one of the most recognizable licks in rock music. Lit has not been prolific in album releases, their last coming four years ago with the very solid The View from the Bottom. They lost original drummer Allen Shellenberger to a brain tumor in 2009 but the core of singer Popoff, his brother and guitarist Jeremy Popoff and bassist Kevin Baldes remain along with an additional guitarist and drummer Terry Stirling Jr. who is the second since the band decided to carry on after Shellenberger’s death. Though they’re in their 40s, you’d never know it. The band formerly known as Razzle proves very much youngsters at heart hopping all over the stage, indeed confirming to be the life of the party. Baldes rocks out on bass like nobody’s business all while drinking from a can of Lite beer, singer Popoff is as a charismatic front man you’ll ever see belting out the same vocal chords he did 20 years ago and brother Jeremy looking ever-so intimidating, effortlessly leading on guitar and somehow managing to lay down some slick chords while holding his axe in often the most un-ergo dynamic position possible. Clearly, Lit never stopped rocking and based on Thursday night there’s no reason to believe they’re going to stop any time soon. With a new album on the horizon, it looks like Lit is ready to strike a new path towards their future. 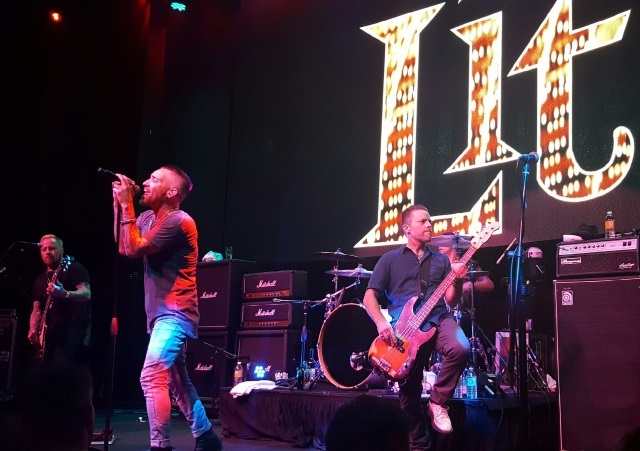 Lit helps rekindle the 90s with Everclear, Sugar Ray and Sponge on the Summerland tour starting in July and coming nowhere near the Pacific Northwest. Again.